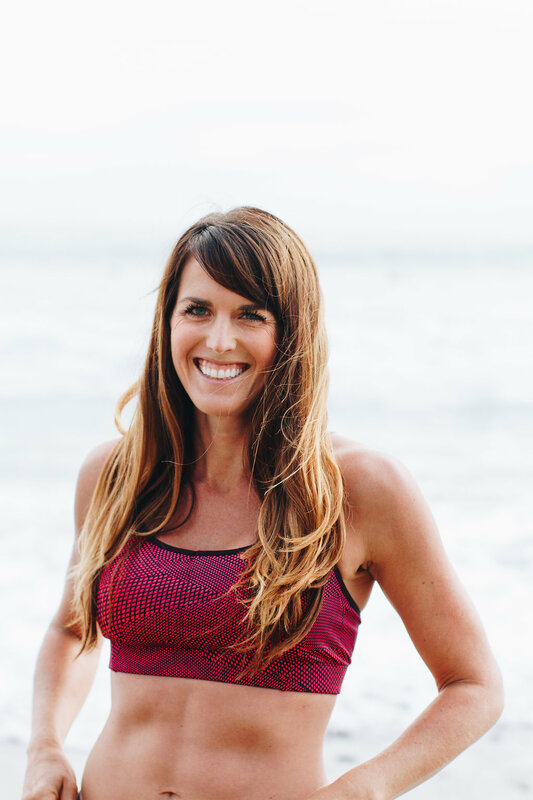 CIM Pre-Season Weeks 5 & 6 and Long Beach Marathon Entry Giveaway Winner! 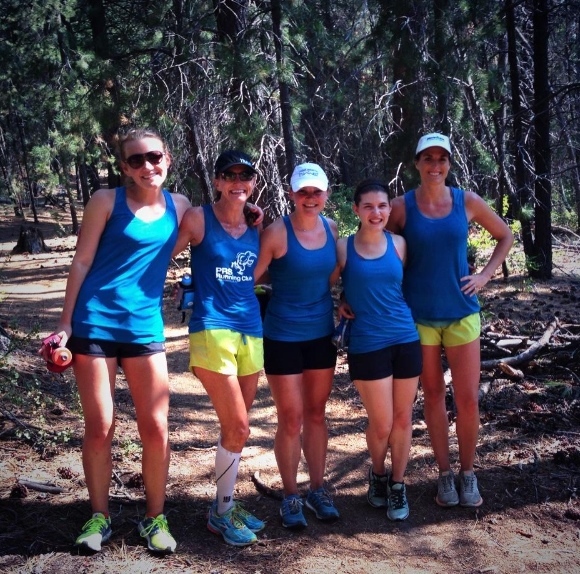 The conclusion of Oiselle Team Bird Camp also marked the end of my “pre-season” training for CIM. The race is now just 16 weeks away and I’m officially training. I have so much going through my mind regarding how to approach my training for CIM now that I’ve learned so much at camp. Not only that, but I’m 100% inspired and excited to get down to business and train hard! Since I have 2 weeks to re-cap and my Bird Camp post summed up a lot of Week 6, I’ll be fairly brief (which as you know is a struggle for me). Monday: After work I got in an easy 5 mile run with 2 x 8 second steep hill repeats plus Ab Ripper X. I ran with Asia and although it was getting late, I still convinced myself to do my steep hill repeats (and I think I found the perfect hill for them) and even Ab Ripper! I think knowing Vegas was coming up on Friday helped. AM: P90X3 Total Synergistics – strength workout alternating between upper body, lower body and core moves. 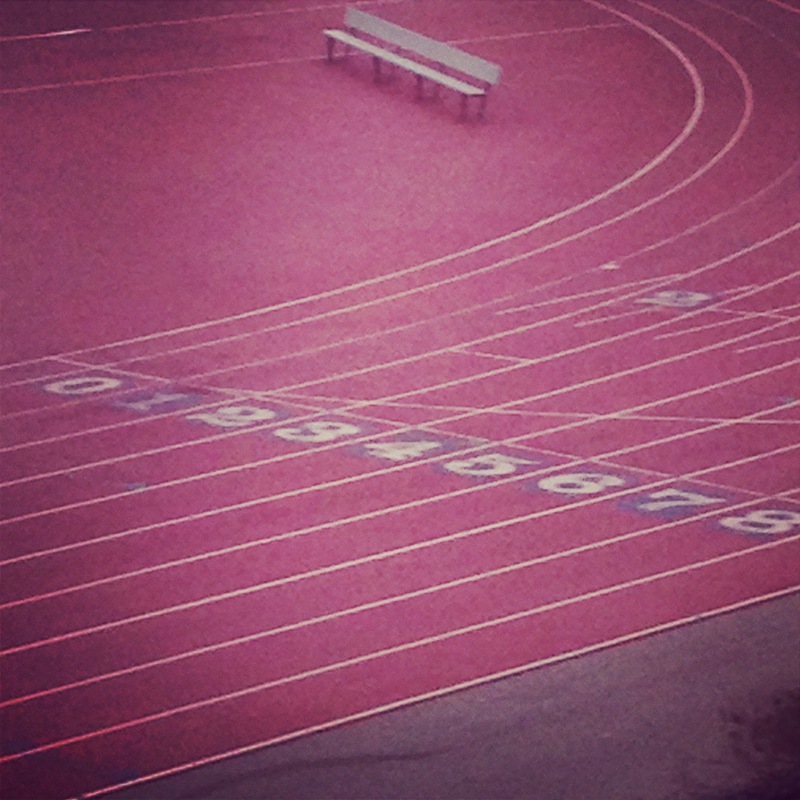 PM: 6 x 800 track workout, 6.5 miles in total. I met Mike and my friend Brooke at the UCSD Track for one last speed workout (I was thinking this could possibly help with the 5k at Bird Camp). However, Brooke, who ran on the University of Washington track team in college, warned me that I was probably running my 800s a little too hard. She explained that the effort shouldn’t be all out (I have a blog post in the works to explain how to determine your track interval speed) and instead of focusing on doing my 800s as fast as possible (last time I did them I aimed for all sub 6:40 pace), I picked a 7 min/mile average as my goal pace (based on the Yasso 800 workout). Brooke tagged along for my intervals despite the fact that she wasnt’ having much trouble keeping up, and we ran pretty consistent splits. I asked her if I was allowed to go all out for the final 800 and she told me I could drop down to a 6:50 pace but no lower. However as soon as I started running I knew that was going to go out the window and I pushed hard and finished strong. I argued the mental boost of the final fast 800 was worth whatever extra recovery time it caused! Paces for the 800s: 6:59, 6:55, 6:58, 6;57, 7:01, 6:28. Including warm-up, recovery periods and cool-down the run totaled 6.5 miles. Wednesday: P90X3 Yoga. While I still had intentions of finishing up P90X3 before Bird Camp, this sadly was the last P90X3 workout I completed. With the demands of a big project at work, I’ve just not been able to fit in as many of these as I wanted. However, I’m not dwelling on it – running and my career have been more important to me lately than P90X3. Thursday: With a trip for Vegas on the horizon and knowledge that I would NOT be feeling great enough for a long run on Sunday when I returned, I completed my 10 mile long run in the morning. I was VERY happy that Mike joined me and stayed with me the whole time, even though this was a Zone 2 run for me. We did pick up the pace for the final 2 miles and ironically those 2 miles felt the best of the 10! Friday: Easy recovery 5 miles with my friend Allison, all in Zone 1 (recovery). Saturday & Sunday: Walking the Vegas strip and dancing in the clubs to celebrate Asia’s #RoadtoOsborne. This counts as cross-training right!? I won’t go into details on the Bird Camp workouts since I talked about them in my recap about the weekend. Overall this week was great – 100% of my runs were on the trails and 100% of workouts were with friends. Overall, it was a win! Monday: 6.5 mile run at Torrey Pines with Brooke and Mike. We ran up the steep road section, ran down the trail, then ran back up the trail and down the road. My legs felt really good on this run and we pushed the pace for most of the run – we ended up running it a full minute per mile faster than the last time! Shows what fresh legs can do. Tuesday & Wednesday: Rest Days. I worked a long day Tuesday at work and Wednesday was Bird Camp travel day. PM: 1 mile warm-up, 3.1 mile 5k race, 1 mile cool-down in the evening. Long Beach Marathon Giveaway Winner! Last week I blogged about tune-up races and how I’m using the Long Beach Half Marathon as a tune-up race for my goal marathon (CIM). I was given an entry from Florastor, one of the sponsors of the Long Beach marathon, to give away on my blog. I used random.org to select a winner and the winner is: Clarinda (@Enjoythecourse)!! Congratulations! Please email me at nwoyski at gmail.com for information on how to claim the prize! 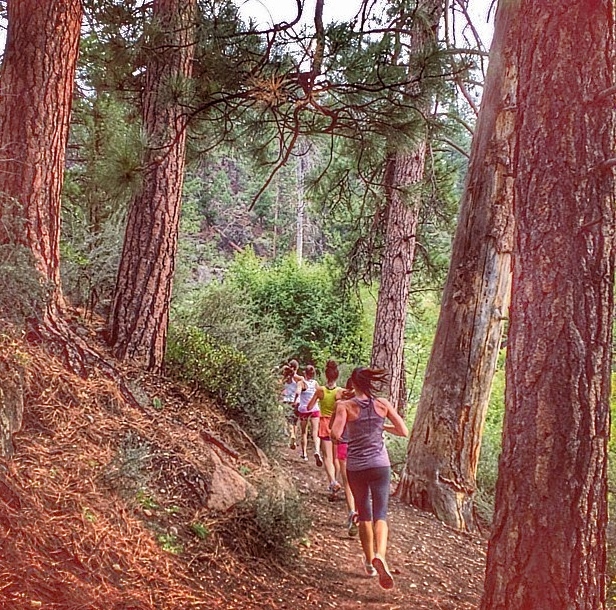 Do you ever use trail running to get stronger for road racing? Bird camp looks like a blast. A very run filled and tough blast, but awesome! Your dress from Vegas is super cute! You’re going to smoke CIM. Cannot wait to watch! Aw thanks! I feel good already! 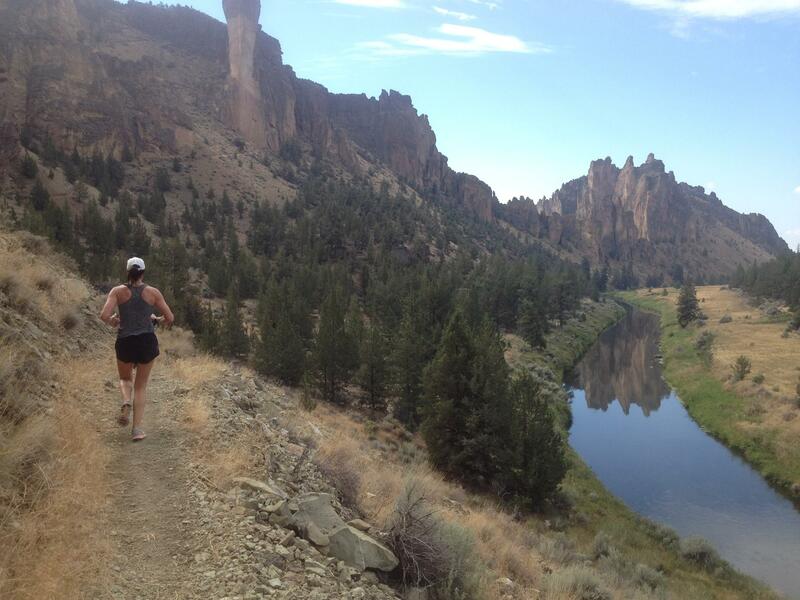 That is Smith Rock in Oregon! We took a bus out there to run on Friday.